Like this photo? This is one of the many beautiful views we had in Switzerland, and the best part is that we didn’t have to climb all day, as is often required, to take it… If you want to see amazing vistas like this in Switzerland here is a list of five easy hikes (our Little G, who was almost 4, did all of them) in the Bernese Oberland that offer them. 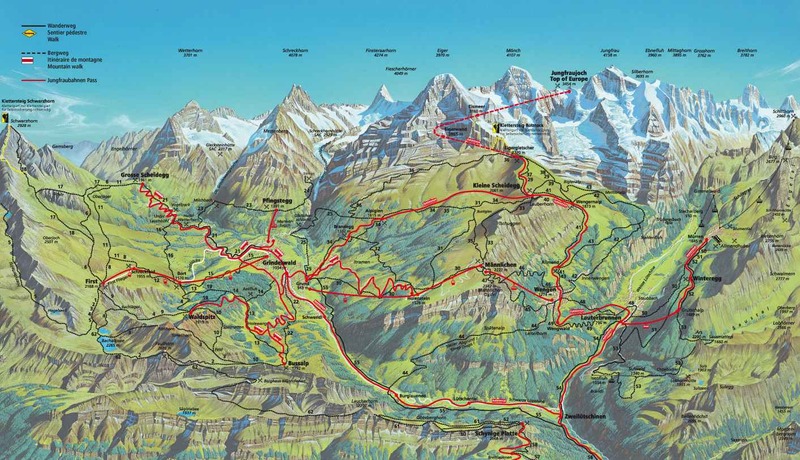 We did these walks during a one week stay in Wengen. If you don’t want to come back the same way I suggest you go down to Waldspitz by taking the path starting on the left handside of the lake for better views. This way is not very busy and there is a restaurant in Waldspitz if you want to wait for the bus with a drink. Time: 2h30 without a break at the lake. It’s a bit steep at the beginning but it flattens out, going down is much longer but much easier since you are going down. A very nice walk in a less touristic area (we didn’t see any of the Japanese/Chinese tour groups there) to see both the nice little village of Murren and the mountains Eiger, Monch and Jungfrau. You can stop midway to have lunch in Winteregg, they have an amazing play area for children. Enjoying a peaceful lunch on the terrace. You can walk both ways but this way has better views. Access: Cablecar from Lauterbrunnen to Grutschalp. From Murren take the train to return to Grustchalp and go down using the cable car. 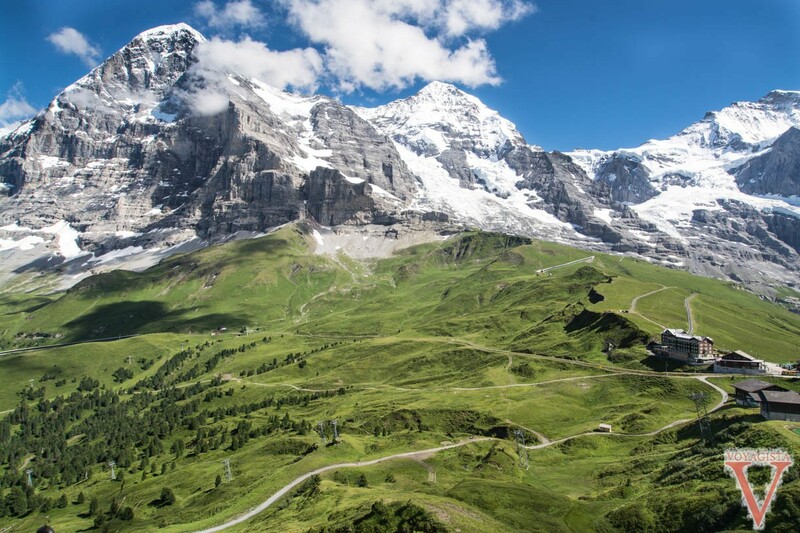 This is the hike most tourists do – it’s going downhill and facing the Eiger North Face all the way. We have even seen baby pushchairs there but little A was much more confortable in the hiking bag. I suggest you do a little detour first (this part goes up though…) and go to the top of Mannlinchen: the best panorama in the area, have a look at the video! Just before arriving at Kleine Scheidegg, there are a few restaurants where you can have a drink with a view and recover from this climb. 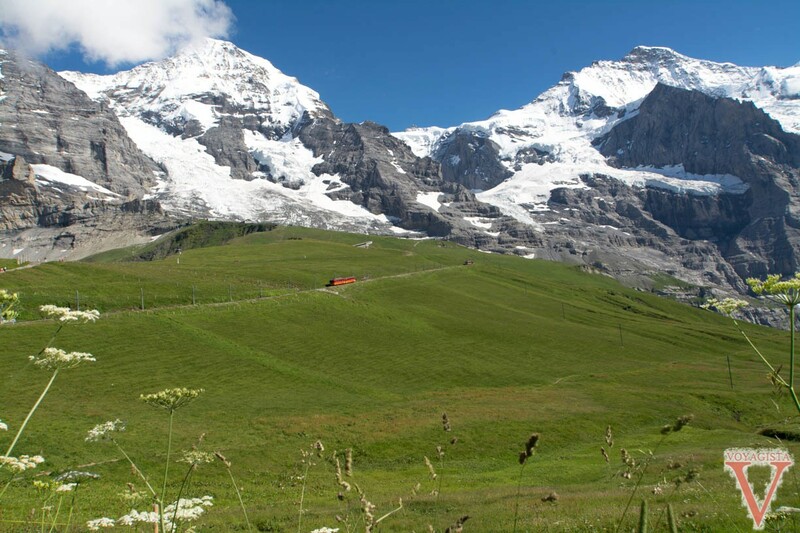 You can do this hike before doing the Eiger trail or you can do a return trip from Kleine Scheidegg and have lunch on the restaurant terrace in Eigergletscher enjoying the amazing glacier views and a nice rosti. I recommend you to go up by the moraine and go down by the main path. Don’t forget to enjoy a foot bath on the side of the track and have a look at the Eiger exhibition on the way. 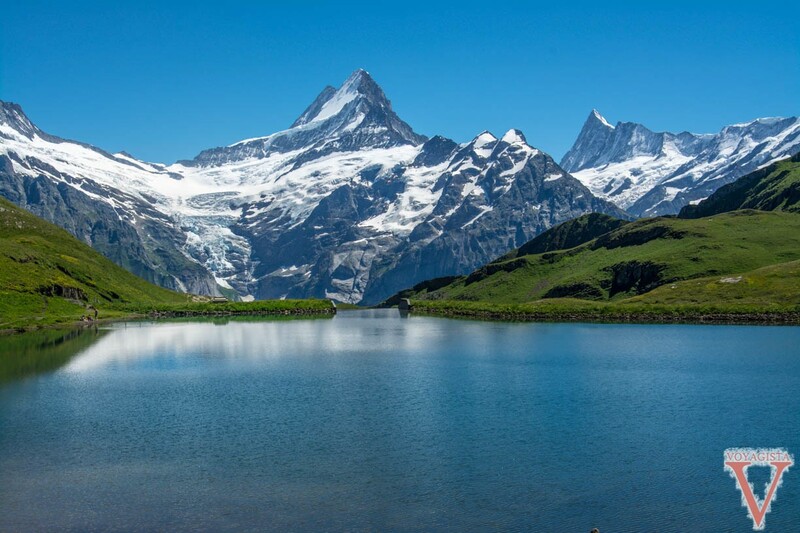 When are you going hiking in the bernese oberland? If you have been there what’s your favourite hike? If you take the train at Kleine Scheidegg, take a seat before the Jungfraujoch train arrives or you will have to stand up.. Given the ticket price you might as well be seated! If you hesitate between those 5 hikes, just go for one easy to access for you, they are all truly beautiful! I am going mid-October. What are the best hikes to see the fall foliage? All of these hikes look fantastic. Voyagista – which rail pass (passes) did you buy? Your pictures are beautiful! What dates were you there? Trying to understand what it will look like when we are there this June. You can book them directly at one of the station, however do buy them very early or the day before to make sure you get a spot, in high season the ticket often get sold out. i’m currently studying in europe and want to take a backpacking trip through the swiss alps. which trails would you recommend for a low budget, all hiking trip? 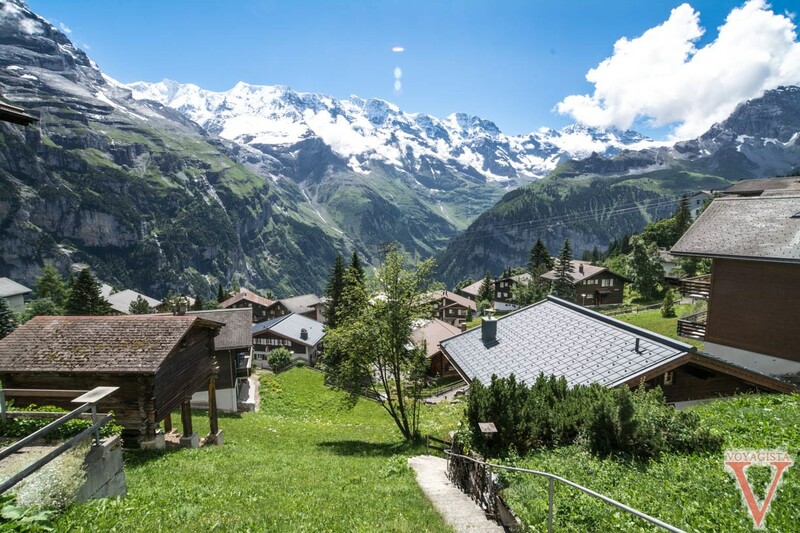 The swiss alps are not cheap if you want to sleep in huts… i would start with discovering the wengen area then what we did is hiking from murren to adelboden (but you can go one day longer to lenk), amazing sceneries i really recommend it! Go for it a truly amazing region!